Before it was acquired by Uber, Otto made its public debut in May. Otto, the self-driving truck startup owned by Uber, broke Nevada’s autonomous vehicle testing laws, according to a report published by tech website Backchannel. And there’s little the state can do about it. 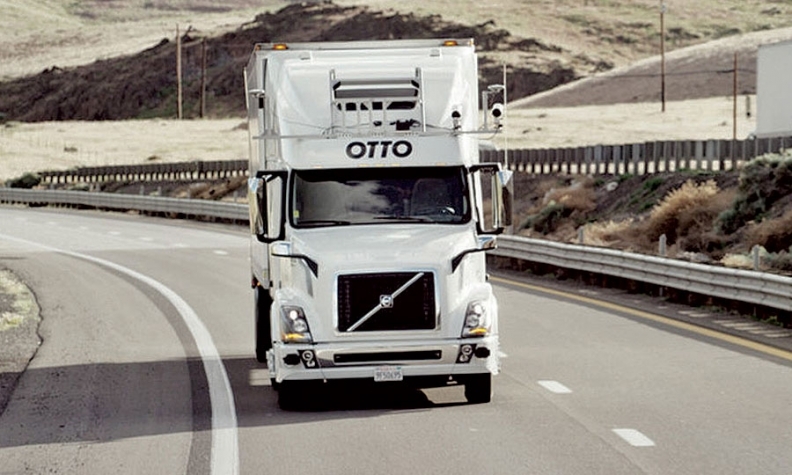 Before it was acquired by Uber, Otto made its public debut in May, demonstrating its technology in a video showing a truck driving itself on Interstate 80 in Nevada while the driver sits in the rear of the cab. While driverless vehicle runs are not illegal in the state, according to the report from Backchannel, the company bypassed the necessary testing and permit requirements. Nevada’s Department of Motor Vehicles mandates that companies submit a permit application, a $5 million bond and proof that their self-driving vehicles have completed 10,000 miles of testing before they can be allowed on public roads in the state. During tests, vehicles must be supervised by people sitting in the driver and passenger seats. Approved vehicles are given a red license plate to show they are autonomous. According to emails obtained by Backchannel, the Nevada DMV was informed of Otto’s demonstration two weeks prior and never received a permit application or other required paperwork from the company. Though Nevada’s current testing laws have been in place since 2013, there are no legal penalties for parties who fail to comply. The DMV is drafting a new set of autonomous vehicle regulations scheduled for submission in 2017, which is intended to include penalties for violations, according to Jude Hurin, administrator for the Management Services and Programs Division of the agency. Potential penalties would be a combination of fines and vehicle impoundment, he said. The May demonstration in Nevada put Otto on the autonomous vehicle map. The company was bought by Uber three months later and performed another autonomous truck run in October -- this time in Colorado, a state with more ambiguous testing laws. This week, Otto is slated to begin similar test drives in Ohio, according to state officials.